in Hebrew University of Jerusalem Israel, she developed population screening methods for preventing CF among Jewish and Arab populations worldwide. Prof. Kerem further studied Genotype-Phenotype correlations and is currently focusing on developments of new therapeutic concepts for patients mutations that cause premature termination of CFTR translation.and for patients carrying splicing mutations. Prof. Kerem has been also researching the genetic basis of chromosomal instability in cancer, and the role of specific regions defined as fragile sites in cancer development. In recent years Prof. Kerem initiated studies aimed at understanding early stages of cancer development using a novel approach of single DNA molecule for studying the DNA replication process. Prof. Batsheva Kerem received her B.S.c in Biology with distinction from the Hebrew University (1979) and her Ph.D. (1986). Her postdoctoral training was undertaken at the Department of Genetics, The Hadassah Medical School, Jerusalem, Israel and at the Hospital for Sick Children, Toronto, Canada. 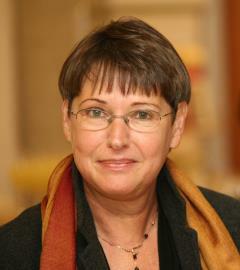 In 1990, she returned to the Hebrew University of Jerusalem as a senior lecturer. In 1998, she was promoted to associate professor (1998). In 2003, she was appointed Full Professor. At the Hebrew University, she established and chaired the National Genomic Knowledge Center at the Institute of Life Sciences (2000-2014) and she served as the Head of Department of Genetics (2004-2006) and as the Head of the Authority for research students (from 2007-2011). In 2013, she was appointed as the President Advisor for Promotion of Women in Science. Prof. Kerem has received numerous prizes, including the Joels Senior Lectureship for Excellence in Science (1996), The Teva Prize for Excellence in Human Genome (1993), the Julodan Prize for Contribution to Medicine (1993). Prof. Kerem was granted the Abisch-Frenkel Prize for Excellence in Life Sciences in 2003 and lastly, she received the Emet Prize in 2008. Prof. Kerem is a member of EMBO, the European Molecular Biology Organization. She serves on the editorial board of the European Journal of Human Genetics and EMBO Reports and is a member of the European Research Council (ERC) for advanced scientists. Prof. Kerem has published over 120 papers.